Successfully Added 3 In 1 Camera Lens Kit - 180 Degree Fisheye Lens, 0.67x Wide Angle Lens, Macro Lens For Mobile Phones to your Shopping Cart. This 3 In 1 Camera Lens Kit is ideal for your phone or tablet with a camera. 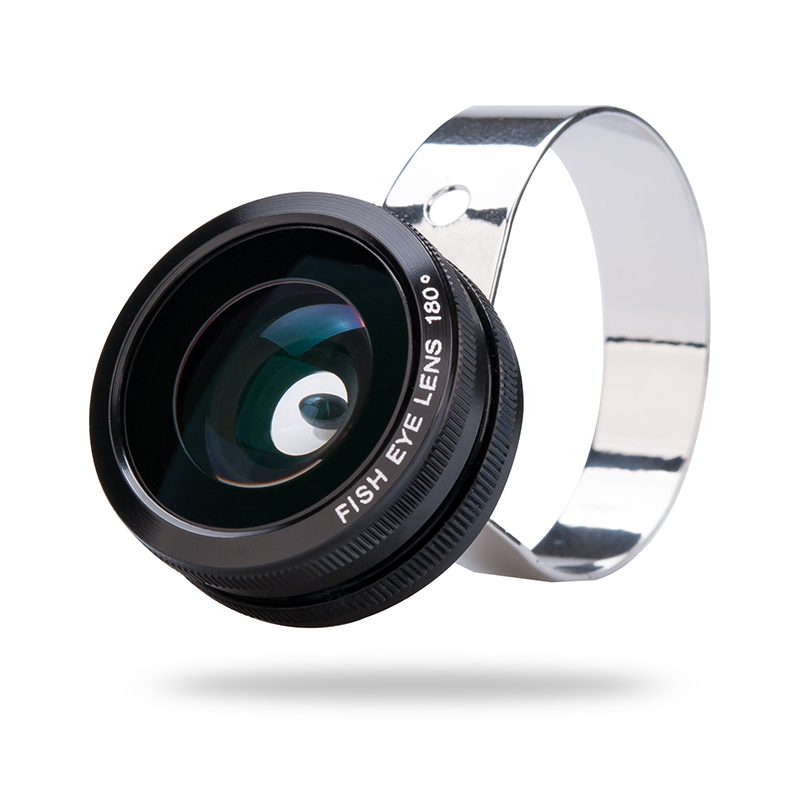 The kit contains a 180 Degree Fisheye Lens, a 0.67x Wide Angle Lens and a Macro Lens For Mobile Phones. Suitable for all cell phones and tablets with camera, this 3-in-1 phone lens kit is a great tools for you s it contains a 180 degree Fisheye lens, a 0.67x Wide Angle Lens and a Macro Lens. These lenses were built with high-clarity glass just like a professional kit. Clip onto your mobile device and you will get your clear shots every time. The kit has a strong metal clip that prevents the lens from moving plus the same time the metal clip-end do not scratch your phone or others electronic equipment. Change between the three lenses easily. Use the fisheye lens for ultra wide-angle lens when you want a strong visual distortion proposed to form a wide panoramic or hemispherical image. For close-up photography then the Marco lens is ideal for capturing very small subjects, in which the size of the subject in the photograph is better than life. a wide-angle lens refers to a lens whose focal length is considerably smaller than the focal length of a normal lens and this type of lens allows more of the scene to be included in the photograph.